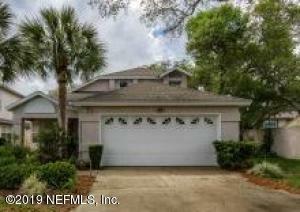 Welcome to this lovely home in the St. Augustine Beach community of Seagate North II. The home sits at the end of a cul-de-sac on .31 acres of marsh front. The beauty of the marsh can be seen as you enter the front door and from the kitchen, dining room, family room and master bedroom. Enjoy stunning views and sunsets from the screened-in lanai over the marsh and Intracoastal Waterway. The two-story, 2051 sf home has a downstairs master suite and on the second floor is a loft, two bedrooms and full bath. There is a den/office on the first floor as well that could easily be converted to a fourth bedroom. The community pool is within walking distance and you are a short walking/biking distance from the beaches.